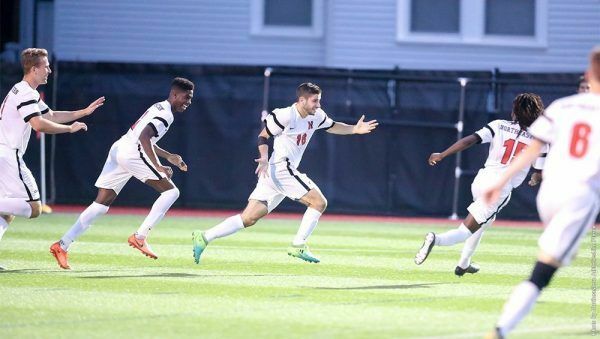 The Northeastern University Huskies Men’s Soccer Summer ID Clinic is a two-day event that will fall on the 4th and 5th of August. This summer ID clinic will take place at the state of the art Winsor School Athletic Fields in Boston, Massachusetts. This program is set to start at 9:00 AM and end at 4:00 PM daily. In addition, the clinic registration fee is $400 for days and $225 for just a single day session. This training program is open to all boys in grade 9 up to grade 12. The attendees will be able to experience how it to play and train like a college soccer student-athlete. The event also includes a recruiting process talk. Northeastern University is a private, coeducational, research university in Boston, Massachusetts with a satellite campus in Ontario, Canada. It is a member of the Association of Independent Colleges and Universities in Massachusetts and the National Association of Independent Colleges and Universities. Northeastern University is also an affiliation of the University Press of New England and the Universities Research Association. Moreover, the Northeastern University as a whole has an accreditation from the New England Association of Schools and Colleges. Presently, its undergraduate student population is 13,473. This undergraduate student population is through a selective enrollment acceptance rate of 29 percent. The university is also serving 7,453 postgraduate students. Northeastern University is among the nation’s leading academic institutions. As a matter of fact, it is 40th in National Universities of the 2018 edition of the US News and World Reports Best Colleges rankings. It is also 67th in the Best Value Schools category. In sports, the university is participating in the Colonial Athletic Association of the National Collegiate Athletic Association Division I. The athletes’ nickname is Huskies and their identity colors are red, gray, and black. 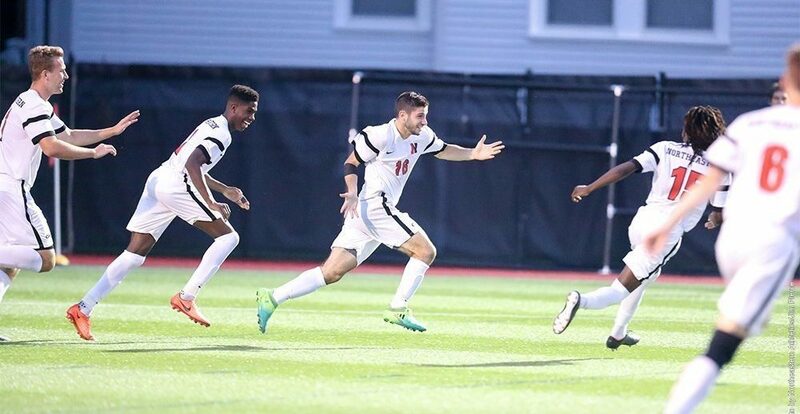 Chris Gbandi, a native of Bong Mines, Liberia is the head coach of the Northeastern University Huskies men’s soccer team. He is now entering his third season at the helm of the Huskies men’s soccer program. Coach Chris Gbandi is a bachelor’s degree graduate from the University of Connecticut. Prior to Northeastern, Coach Gbandi was an assistant coach for the Dartmouth College Big Green. Additionally, Coach Gbandi is the 2014 National Soccer Coaches Association of America (NSCAA) East Regional Assistant Coach of the Year awardee. He is the first overall pick of the FC Dallas, then Dallas Burn, of the Major League Soccer (MLS) 2002 SuperDraft. He is also the 2006 team Defender of the Year awardee. Then, the Northeastern University Huskies men’s soccer associate head coach is Justin Kahle an alumnus of Providence College. Coach Justin Kahle is the former College of the Holy Cross assistant coach and recruiting coordinator. Currently, he is also working as the head coach of the Rhode Island Olympic Development Program Under-16 group. The Huskies assistant men’s soccer coach is Cam Omsberg who is now entering his third season with the coaching staff. Coach Cam Omsberg is an alumnus of Lehigh University. He is a United States Soccer Federation (USSF) “C” coaching license holder. Finally, the team’s volunteer assistant coach is John Montanaro. He is working primarily as the goalkeeper coach. The Northeastern University Huskies Men's Soccer Summer ID Clinic is going to be conducted by the Huskies men's college soccer coaching staff. It is an opportunity to train and learn the methodologies used in a college level program. This two-day soccer identification clinic is inviting all and any male soccer players in grade 9 up to grade 12.